A very small percentage of criminal cases go to trial. Much of the pretrial criminal work is geared towards learning as much about the prosecution’s case as we can. Through the discovery process we understand the strengths and weaknesses of our own case as well. Extensive effort goes into position our clients for success either through motions or plea negotiations. Not all motions are successful however nor for that matter can all cases be negotiated to a favorable resolution. When a criminal case reaches that point a trial might be scheduled. Yet, prior to actually trying the case there is usually one last opportunity to resolve the case through judicial intervention. This is done with a lobby conference. This article answers a question asked by one of my clients a few days ago. “What is a lobby conference and how does it work?”. 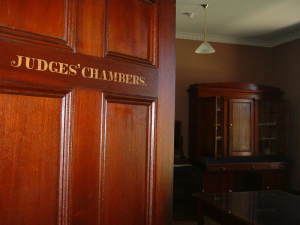 When I first started practicing law lobby conferences were conducted in the judge’s office, commonly known as a lobby. The prosecutor, defense attorney, probation officer, courtroom clerk and judge would meet to discuss the merits of the allegations, the defenses and some alternatives to actually trying the case. These discussions were conducted off the record. There were no recordings or court reporters present. The judges and older lawyers would often tell stories about their experiences from their early years. It was not uncommon for the lawyers and the judge to light up a cigarette. 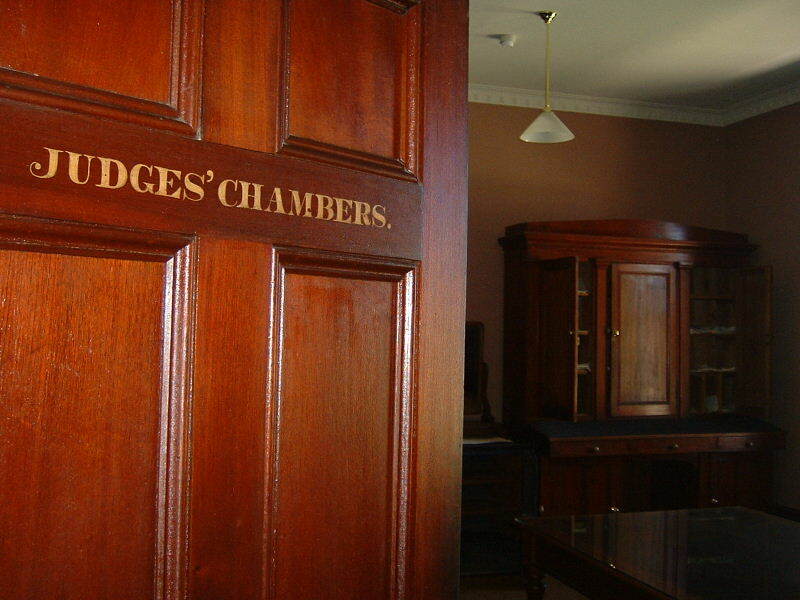 I was constantly amazed by the judge’s candor behind closed doors. They would share things that could never be put on the record but that were as much a part of the criminal justice process as a hearing or a motion or a trial. For the most part these judges wanted to get things right. Perhaps more importantly, they wanted me and other young lawyers to get a practical understanding of how our clients would best be served and how the system works in reality as opposed to in theory. They worked at getting prosecutors to be reasonable and practical as well. I always believed that the purpose of the lobby conference was to get everyone to have a proper perspective on the case. For me, this worked. Lobby conferences could be fascinating and extremely constructive. I remember judges warning me of certain risks to my approach to cases. They would open my eyes to the realities of taking some cases to trial, the likelihood of success and the potential for irrevocable damage to my client should I lose. During these conferences judges would propose resolutions to the case that I never knew could be orchestrated. These conferences also permitted defense attorneys to speak candidly about their clients. Facts that a judge needed to know in order to better understand the actions of the accused could be conveyed without the risk of creating a record that could be used against the defendant. Embarrassing facts that might properly evoke sympathy and reveal mitigation could be raised in that forum. Old-fashioned lobby conferences were as much a part of the criminal justice process as a jury trial. Through this process justice was well served and many of us became better lawyers. Very few judges still conduct lobby conferences in the manner I just discussed. This approach is frowned upon and the Massachusetts Supreme Judicial Court has warned against it. Today, lobby conferences are conducted on the record. They are held at the side bar. Everyone is much more guarded about what is being said. There is less education for young lawyers through this process. That being said there is still value to lobbying cases. Defense attorneys and prosecutors alike can get a read on the judge’s view of the case. Defense counsel can share this with his client so that decisions on resolving the case are made with greater understanding of the consequences. Similarly, the prosecutor can share the judge’s sentiments with his or her supervisor and possibly modify his recommendation or amend the charges. At times judges urge the parties to come to an agreement for a resolution. Creative resolutions spearheaded by the judge are still carved out during the lobby conference. The Law Offices of Stephen Neyman, PC has been defending people accused of committing crimes for nearly three decades. Call us at 617-263-6800 or email us if you want to talk about your criminal case. We know that we can help you.